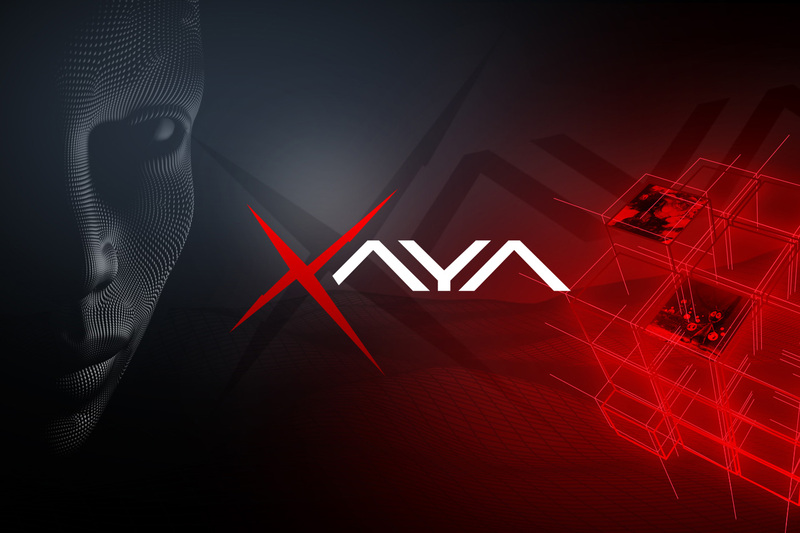 Xaya refers to itself as “true blockchain gaming” and is a fully open-source platform maintained by contributors along with Autonomous Worlds Ltd. The platform lets developers who use proven technologies that are peer-reviewed put their games up fully on the blockchain. Once on the blockchain, Xaya allows these games to run in a provably fair, unstoppable, and serverless manner that is profitable for gamers thanks to the play-to-earn model for human mining. This human mining model was first proven successful by Huntercoin more than four years ago. Xaya began in 2013 under the name Chimaera. At the time, team members programmed for Namecoin and actively coded the first blockchain game ever, “Chronokings.” That game had a small alpha release followed by the first full release via the Huntercoin experiment. This was a low-key release without marketing but saw instant success. Huntercoin pioneered multi-algo cryptos, which led to F2Pool conducting merged mining of SHA-256d, and Scrypt and Poloniex listed HUC. Huntercoin also proved the previously mentioned human mining model for provably fair games that run autonomously on the blockchain. The game was supposed to just last a year, but people continue to use it today and earn money via playing. Xaya feels that it is true gaming on the blockchain thanks to the ability to deliver real asset ownership, fully decentralized virtual worlds, no central servers, and new game genres. Additionally, the Xaya technology allows for massive game worlds with limitless scalability, support for millions of players in a single game world, and real-time trustless gameplay. With Xaya, developers have all the tools they need to create and run serverless games on Xaya. There is plenty of documentation, along with SDK/API, support, and examples. Because of how Xaya is set up, there is no need to rely on complex smart contracts, and developers can use the language of their choice. The Xaya team introduced the Huntercoin experiment as part of the project then known as Chimaera in 2013. Since that experiment, the team has continued pushing blockchain technologies forward with various innovations. 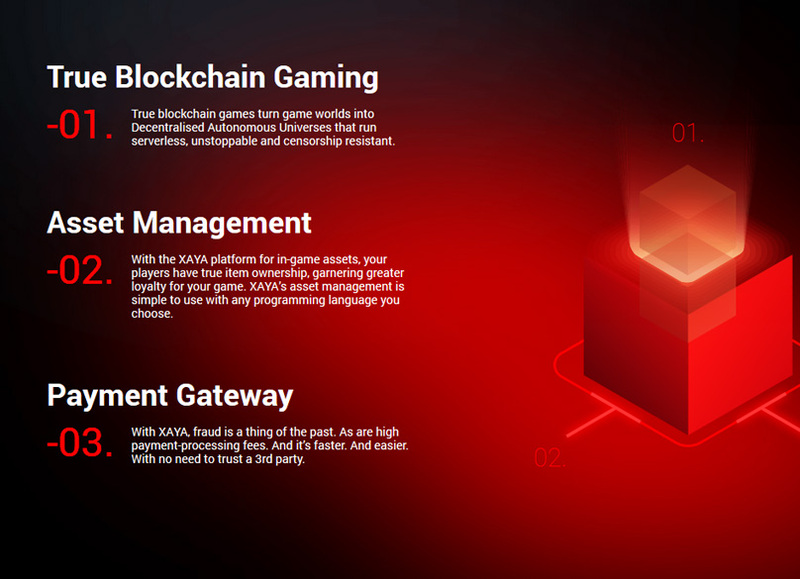 Over the years, Xaya has put a great deal of effort into research and development, culminating in the Xaya platform with unstoppable and serverless games, allowing for thousands of games with millions of players. Xaya fully takes advantage of blockchain technology when it comes to gaming by turning game worlds into various decentralized autonomous universes that resist censorship and are unstoppable and serverless. Xaya also includes a platform used for in-game assets, which allows for true ownership of in-game items. Players appreciate this, which gives developers loyal customers. The asset management system from Xaya is easy to use. Like the other features, it can be used with any programming language. The Xaya platform also includes a payment gateway that eliminates fraud and high fees for processing payments. There is no need to rely on a third party, and payment processing is quick. Human mining is another key feature of Xaya, and this is an emerging gaming genre. With human mining, player success determines blockchain propagation and reward distribution for online gaming competition. Xaya also includes DR, decentralized reality, which supplements AR and VR to create unstoppable virtual worlds without central authorities. Those involved in the world compute the state of a given world. The game channels on Xaya are peer-to-peer networks that are similar to gamified lightning networks. The various game channels make it possible for many players to participate in trustless gameplay in real-time. 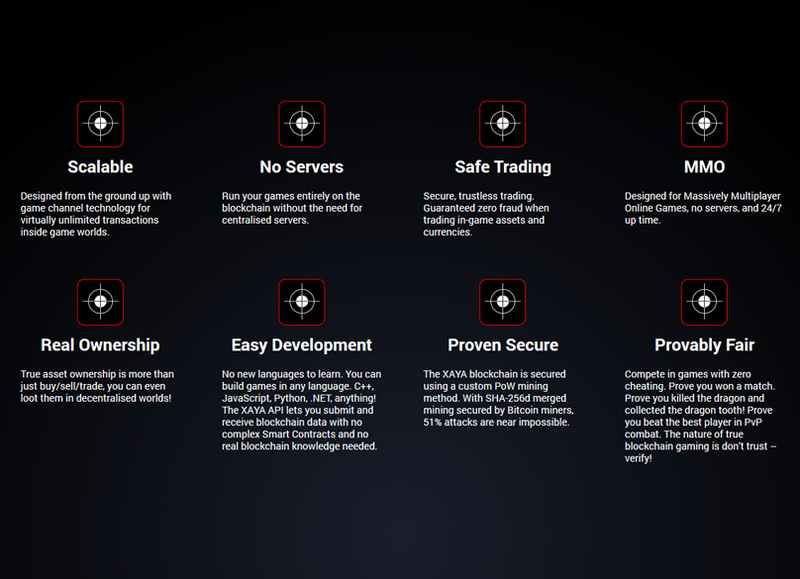 Finally, Xaya uses atomic trading that was pioneered with Namecoin. This type of trading ensures safe trading for virtual assets, without any possibility of fraud. That safe trading is a key characteristic of Xaya, as there is guaranteed zero fraud for trustless, secure trading. This applies for trading currencies and in-game assets. Xaya is also scalable since it was designed from the ground up to allow for virtually unlimited transactions within game worlds. To enhance the scalability of Xaya, it was designed specifically for MMOs, massively multiplayer online games, with 24/7 uptime. There are also no servers thanks to the fact that Xaya games run on the blockchain. With Xaya, true asset ownership becomes possible. It allows for buying, selling, and trading as well as looting in decentralized worlds. The games on Xaya are provably fair without any chance of cheating. Instead, those who use Xaya can prove that they won or completed a task thanks to the blockchain. Security is a given with Xaya thanks to its custom PoW mining method and SHA-256d merged mining that Bitcoin miners secure. This combination means that it is nearly impossible to achieve a 51 percent attack. From a development standpoint, Xaya is easy to use, as you do not need to learn any new languages. Instead, you can use the programming language of your choice to build a game. The Xaya API allows for the submission and receipt of blockchain data without any knowledge of the blockchain or smart contracts. The Xaya Wallet is available for download already, making it easy to securely HODL coins. 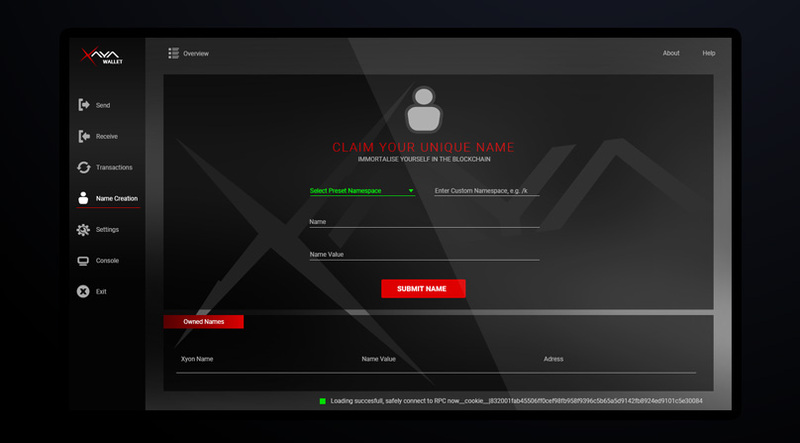 The wallet is immortal on the blockchain, lets you register a unique avatar name, and allows for playing from the gaming wallet. Xaya already completed the presale sale for its coin, CHI, raising more than $2.5 million. The main public sale begins Sept. 7. The minimum contribution during the sale is 200 EUR, and there is a hard cap of 150 million tokens available. Following the sale, any unsold tokens will be burned. CHI can be used to create accounts, conduct account transactions, buy or rent game assets and accounts, complete game transactions or coin transactions, and run CHI-powered crowd sales. Of the CHI tokens, 40.5 percent is allocated for the token sale, 10 percent for the company, 4.5 percent for the HUC snapshot, 3.5 percent for the bonus campaign, 1.5 percent for advisors/other, and 40 percent for Proof of Work. Xaya delivers a custom-built blockchain that allows for “true blockchain gaming” that is serverless, fair, secure, and easy to set up. It uses the human mining method proven by Huntercoin and will be built around game channels. A great deal of the technology for Xaya is already in place, and the token sale is just beginning.